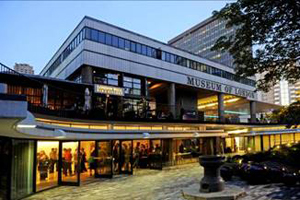 The Museum of London has boosted its meetings and events capacity following the redevelopment of three of its spaces, launched as the Terrace suite. The Terrace Gallery is the largest of the spaces, with room for 100 delegates reception-style, 70 theatre-style and 40 cabaret-style. Features include wi-fi and audio-visual equipment. The Garden Room holds 80 people reception-style and 50 theatre-style and the adjoining terrace can accommodate 200 guests; while the Terrace Boardroom can seat 12 people and is decorated with artefacts from the museum’s collections.